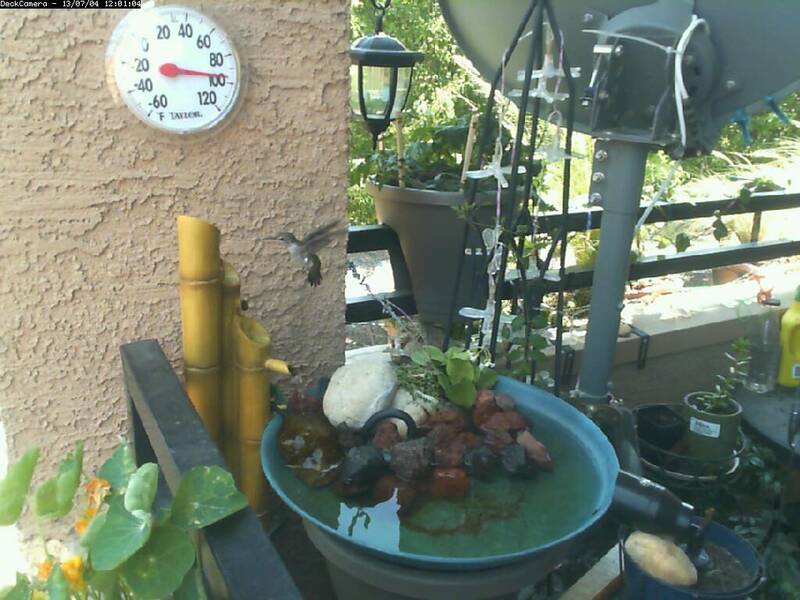 So the last few days I have noticed a hummingbird coming to my fountain to drink. I have a motion capture camera pointed at the fountain, but I couldn’t get a picture. So I have been fooling with the settings, and FINALLY! I have a result. The motion detection software takes stills about every .05 seconds. The film is these stills every .1 seconds. So technically it is slowed down. If you want to know more about the motion detection capture system I have, go to the Tech link.